Handcrafted figure of Alaskan man. His body is stuffed material, and he has a leather face that is hand-painted. There are beads on his boots and gloves. Tag says: "Made of Fox, Rabbit, Moose, Calf and Beaver." 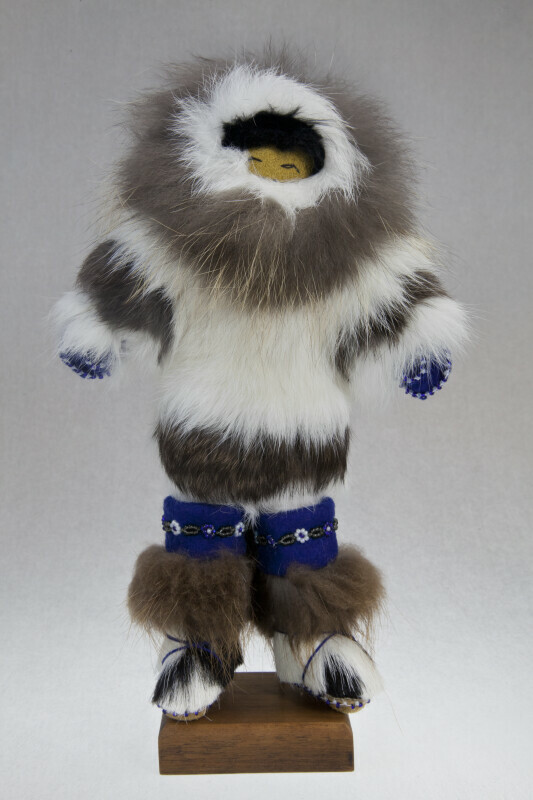 This figure stands 10 inches (25 cm) tall. WARNING: You are about to download a 32.1 MB TIFF!